financial savings and increased availability compared to replacement of new. 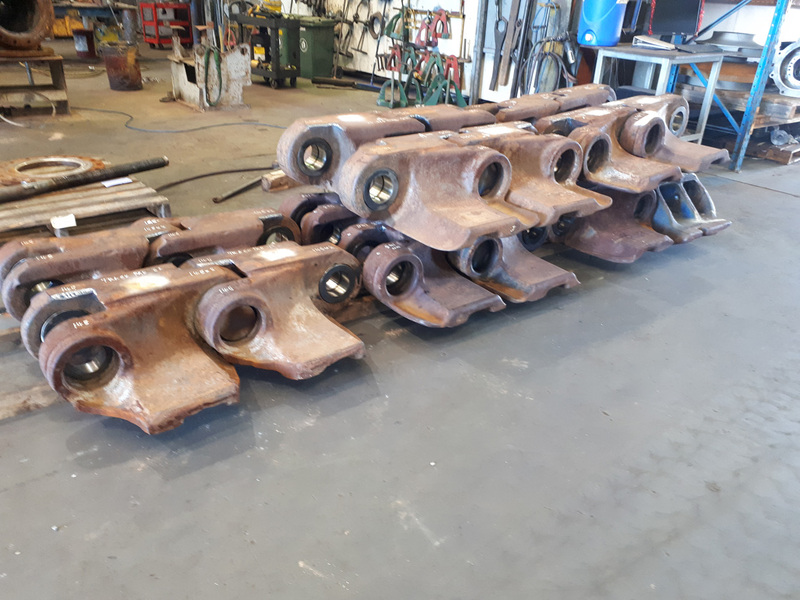 Berg has provided precision machining services, manufactured bush & pin configurations and completed high tolerance fitting services to refurbish track pads on heavy mobile equipment such as Terex O&K RH 340 excavators. Reduced material costs through Berg’s global procurement chain.